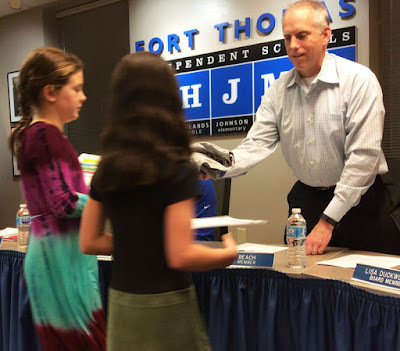 Newly elected 2018 School Board Chair Jeff Beach thanks Woodfill students for their science presentation. 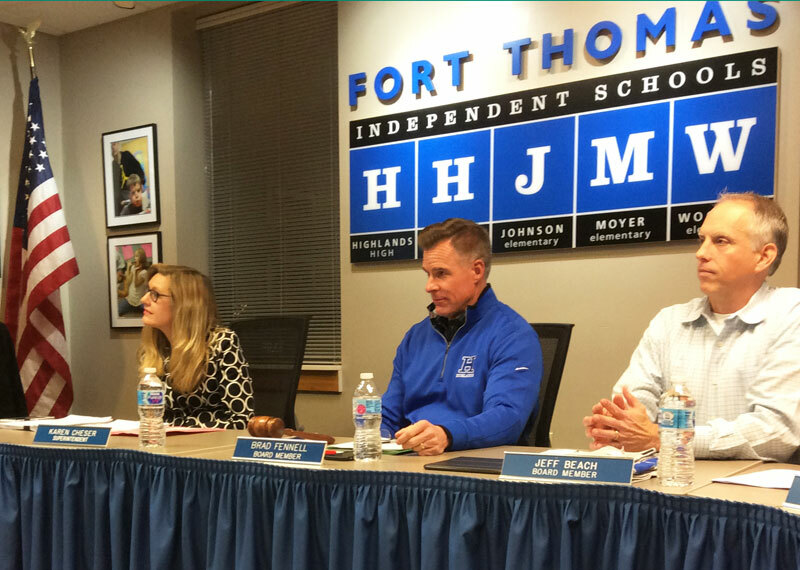 The first meeting of 2018 for the Fort Thomas Independent School Board included some kudos for the past year and a look at plans for the year ahead. 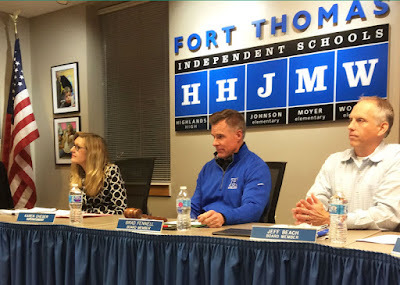 The meeting opened with recognition of the five-star award designation earned by the Fort Thomas Independent Schools preschool program. Jenny Chance of the Kentucky Department of Education presented the award to Preschool Director Sommer Rosa. January is School Board Recognition Month, and Fort Thomas Education Association Co-presidents Dawn Hils and Mary Kinsella were on hand to formally thank the 2017 school board and to present them with Fort Thomas school jackets as a token of appreciation for their work. 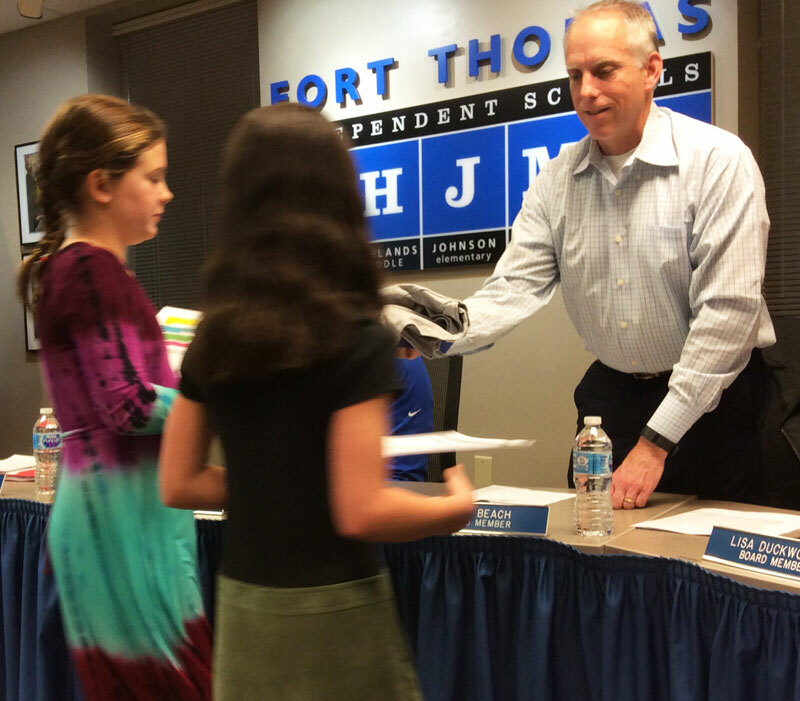 School board members also voted at the meeting to elect officers for the upcoming year. 2017 Chair Brad Fennel handed off the gavel to newly elected 2018 Chair Jeff Beach and to Vice Chair Lisa Duckworth. The presentation was followed by a student showcase featuring students from Samuel Woodfill Elementary who presented on a new science curriculum used in all three district elementary schools. The meeting drew about 20 teachers and counselors with concerns about possible changes to a handful of board policies. Superintendent Karen Cheser provided a heavily edited draft document as a first reading of proposed changes to policies on student eligibility for alternative credit options including online and dual credit classes. The teachers expressed concerns that the changes proposed in the document could result in confusion or in unexpected consequences. Overall, the intent, said Cheser, was to revisit some policies with an eye toward addressing special situations and circumstances. As it stands now, some situations require a work around the rules. A re-examination of the policies could provide more flexibility, increase access and eliminate rule-bending. Procedures for any changes in these policies are under development, she added. Groups of administrators, teachers and staff, as well as partners in higher education, have been meeting to discuss possible changes. After a lengthy discussion, it became clear that some teachers were unaware of the work done so far. Cheser agreed to speak with administrators to ensure teachers and staff interested in policy discussions or in development of online, dual credit or AP classes would have opportunities for input and involvement. She reiterated that teacher or counselor approval, as well as the approval of the principal or his or her designee would be required for students to take advantage of alternative offerings. Further discussion of these and other policies will continue at committee meetings devoted to this topic, she said. Superintendent Karen Cheser and Board members Brad Fennel and Jeff Beach listen to policy discussion. Board members took care of business for the upcoming year. They approved the calendar for the 2018-19 school year as well as the board meeting schedule and appointments of members to various board committees. The board also passed the member per diem pay policy. As is tradition, the members donate the sum toward scholarships for teachers and students interested in entering the teaching profession. Beach added that the scholarship committee recently met and awarded five teacher scholarships for the coming year. Tuition rates for 2018-19 were presented and approved. 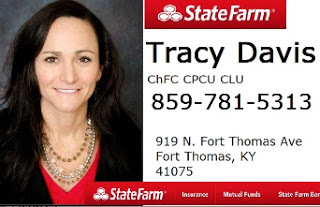 While most rates remain unchanged a few rates went up slightly over the previous year. Half-day and full-day Kindergarten increased by $50 and grades one through 12 increased by $100. Tuition rates are posted on the district website. Rounding out the meeting was a presentation by Assistant Superintendent Bill Bradford on a new Comprehensive District Improvement Plan. The plan sets out three-year goals for the district as well as strategies to achieve those goals.